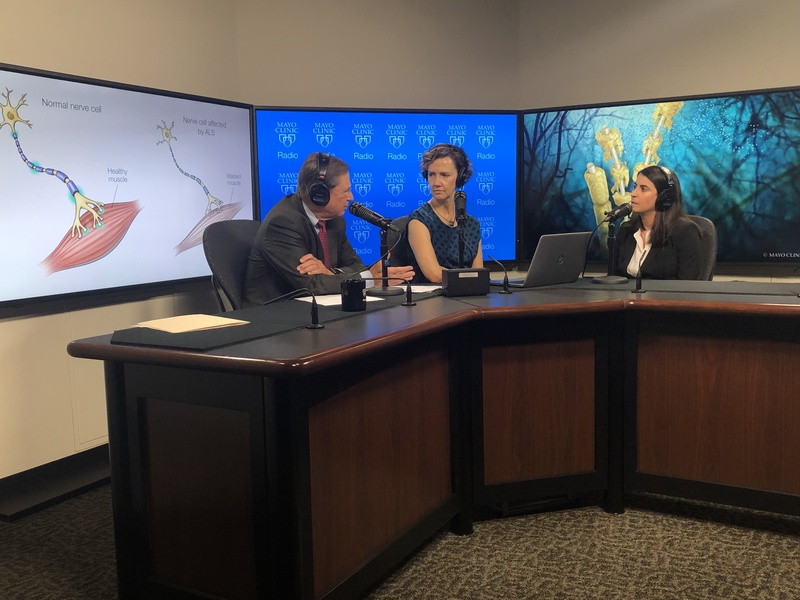 On the Mayo Clinic Radio podcast, Dr. Jennifer Martinez-Thompson, a Mayo Clinic neurologist, discusses diagnosis and treatment options for amyotrophic lateral sclerosis (ALS). Also on the podcast, Dr. Molly Jeffery and Dr. W. Michael Hooten share new Mayo Clinic research on trends in opioid use. Dr. Jeffery is the scientific director of Emergency Medicine Research at Mayo Clinic, and Dr. Hooten is a Mayo Clinic anesthesiologist and pain medicine specialist. And Dr. Paul Brown, a Mayo Clinic radiation oncologist, explains a new radiotherapy approach aimed at preserving cognitive function for some brain tumor patients.